He was my first 아저씨 crush- ( ＾◡＾) I first saw him in Three Extremes: Cut. But I started crushing on him after watching IRIS and then I really, really started crushing after watching Joint Security Area. And don’t get me started on his roles in A Bittersweet Life and I Saw the Devil. This guy may be 42 but I could oggle him for hours, days, weeks at a time. Ok, this guy is just hot- don’t deny it. I’ve only watched him in Autumn Fairytale and Summer Scent. To be honest, I didn’t really like him in Summer Scent… but in Autumn Fairytale… oh my buddha- don’t get me started. The first time I watched the drama was when I was a young child and I watched it dubbed in Chinese- I was a child… A CHILD… and I had a crush on him (wait so is HE technically my first 아저씨 crush or is Lee Byung-hun???). Well, this man is just so handsome, especially with his thick eyebrows and sharp features. First watched Won Bin in Autumn Fairytale too… but Song Seung-hun won my heart in that drama. That didn’t change the fact that I still developed a crush on Won Bin too (when I was older and re-watched the drama in Korean)! But it was brief… because he left the industry for a bit to do his military duties. Recently, he came back into the entertainment field so I’m all giddy over him again. (◕‿◕✿) Still waiting to watch 아저씨 The Man from Nowhere, which stars Won Bin (pssst- isn’t that a fitting movie for him to be in? ㅋㅋㅋ). He’s best friends with Song Seung-hun… I just found this out recently… If I had to choose between them, I don’t know who I’d choose. But I started liking Kwon Sang-woo only recently after watching him in Pained. His character was unattractive in the movie, but I saw through that- I was like “omg, if he cleans up, he would look pretty hot.” And then I watched My Tutor Friend and I was like “❤_❤“. He’s the least ahjussi-like fellow on my list… but still, he’s past 30 so he’s an 아저씨 to me! I heard Perfect Man somewhere and then I watched live performances on YT… and that was when I saw Minwoo~~ hehe. 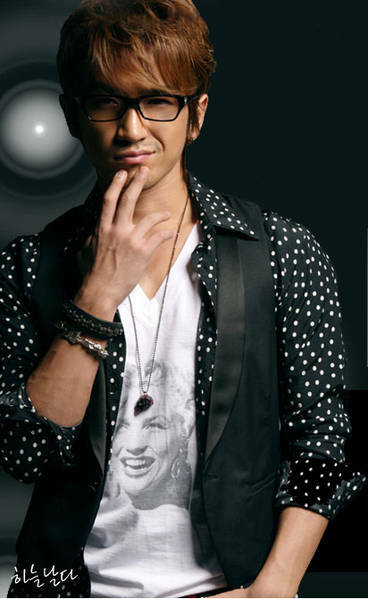 But unlike the other ahjussis I’ve listed, Minwoo is more like my bias from Shinhwa. These are the ahjussis who have made it to my list so far- I’m sure I’ll come across more ahjussis to crush on as I watch more movies (you can probably already tell from my previous posts that I am a film junkie). DON’T STEAL THESE AHJUSSIS. THEY’RE MINE.